On September 24, 2014, the Minneapolis Vein Center celebrated 10 years of service to the community with an Open House event. 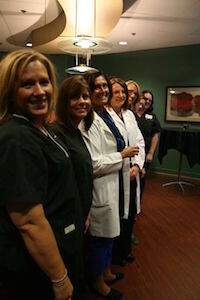 We were pleased to welcome 75 patients, friends and staff from our referring physician offices. Attendees were able to meet our Medical Director, Dr. Gomes, receive free screenings and enter to win one of our three great prizes: a Kindle Fire for 1st Prize, a $50 Visa gift card for 2nd Prize and a $25 Visa gift card for 3rd Prize. Throughout the event, Dr. Gomes was available to answer questions and the clinical staff performed free leg vein screenings. As a result, attendees learned that Spider Veins can be the result of an underlying health condition and our staff scheduled 10 follow up appointments for patients that wished to learn more about the treatment options available in our office. One of those patients was a woman with a family history of vein issues who wanted to proactively learn more about her risk and prevention strategies. Dr. Gomes and the staff at Minneapolis Vein Center is happy to work with patients who want to learn more about their condition and proactively address any concerns. Dr. Gomes was also recognized at the event for her 10 years of outstandingservice as Medical Director at Minneapolis Vein Center. Under her leadership, the Minneapolis Vein Center has become the premier vein center in the area offering a full line of vein procedures while maintaining a 95% success rate. The Open House was sponsored by Covidien, a global healthcare products leader dedicated to innovation, which manufactures the radiofrequency ablation systems used by our Interventional Radiologists. 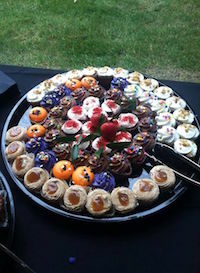 A great spread of food and beverages was enjoyed by all attendees; thank you, Covidien! If you’d like to learn more about our services, please call our office at 763-398-8710 to schedule a consultation. Our team would be happy to meet with you and answer your questions.